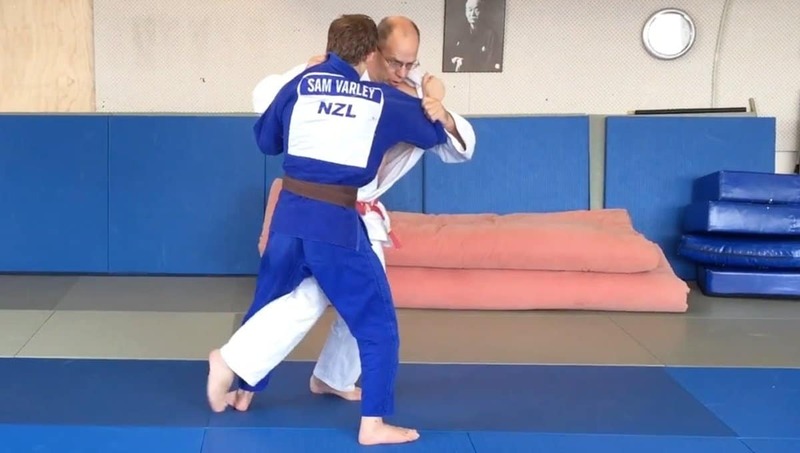 If you train MMA or BJJ, it probably means that you have plenty of gear which you carry every day with you to the gym. 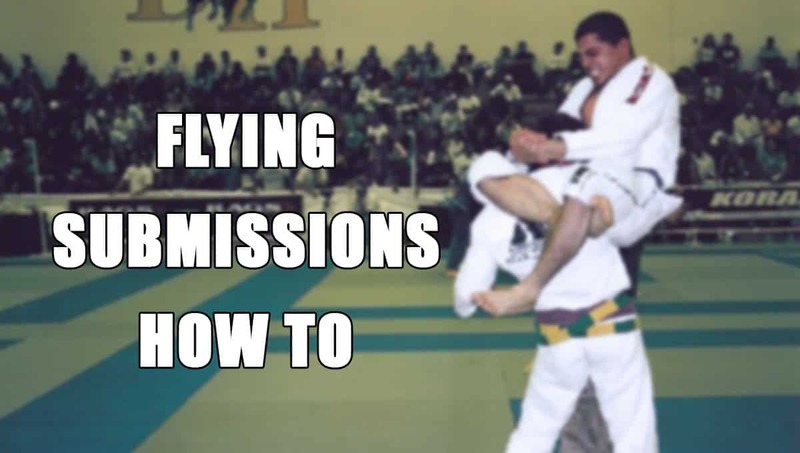 Hence, all of the gear, such as GI, protectors, changing clothes, second GI, and rash guards should be easily packed and accessible. Therefore, you need a reliable and durable bag for your daily needs. 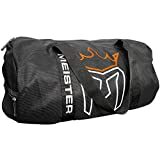 This sack is one of the most versatile bags on the market. 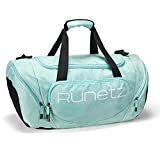 It is large enough to hold all gear and accessories and can also be used for traveling. 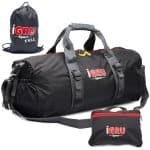 Moreover, it can be used as a duffel bag, shoulder bag or as a backpack due to the adjustable bubble foam padded shoulder straps. Plus, contains multiple compliments and it is very durable. You can find it on Amazon. This is a classic container for gear for everyday use. It contains a super strong chain mesh and it is breathable. However, it doesn’t have a shoulder strap which makes it challenging to carry, especially when it’s full. It is available in two sizes on Amazon. 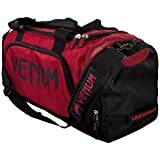 The Venum Trainer Lite sport bag is one of the most versatile gym sacks which comes with large compartments. Moreover, it contains a special zip pocket on the side and it is made of 100% Polyester. It has an adjustable, padded shoulder strap and mesh panels for breathability. It is available on Amazon. Moreover, if you buy it, you automatically get a free laundry bag. However, before purchasing, make sure you read the dimensions very carefully. It is currently unavailable on Amazon. 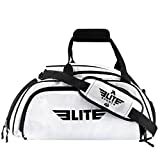 This athletic sport bag is very functional and versatile. Furthermore, it is very spacious, sturdy, and durable. It has an adjustable and detachable padded shoulder strap and dual handles. Made of polyester and with multiple zipped pockets for organization and easy access. You can find it on Amazon in extra-large and large size. 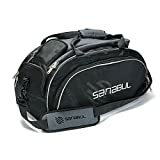 When it comes to choosing the perfect training bag, there is no one particular that fits all solutions. Hence, you have to consider various features, such as internal storage space, breath-ability, durability, price and why do you need it. No matter which one you choose from the above-mentioned ones, you won’t regret it.